Kickers® is a great-tasting blend of premium powdered ingredients including real fruit, spices, sweeteners, and other natural, Non-GMO, Gluten Free ingredients. They contain no artificial flavors, colors, sweeteners, preservatives, high fructose corn syrup, or trans-fats. Kickers are OU Kosher certified, very low fat or fat free, and for just a little bit of natural sweetness, they're made with the finest all-natural cane, maple, and real vanilla bean sugars. Waldman Naturals is proud to announce that Strawberry Banana, Apple Cinnamon, and Chocolate Peanut Butter Banana Kickers® have gone through a rigourous verification process and have received Non-GMO Project Approval. The Non-GMO Project is North America's only independent verification for products made according to best practices for GMO avoidance. While Maple Banana Cream is GMO Free, it's currently in the process of gaining Project verification for our milk ingredient. Please look for the Non-GMO Verified seal on our packaging. 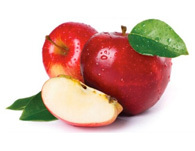 Apples are an excellent source of fiber and packed with vitamins, antioxidants, and more, making them one of the best fruit choices for good health. This tasty spice contains small traces of minerals such as calcium, magnesium, potassium, manganese, iron and zinc. Not all sweeteners are created equal. 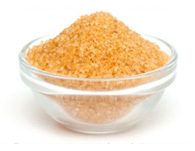 Our pure cane sugar is chefs-grade and GMO-free. 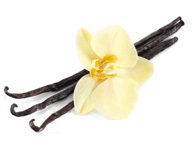 And we use just enough to enhance the natural sweetness of our other ingredients. Nature's mood-booster, Cocoa contains approx. 43.6 mg of flavonoids per gram. 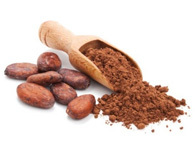 Flavonoids are part a group of antioxidants known as polyphenols and cocoa is one of the highest polyphenol-containing foods available. 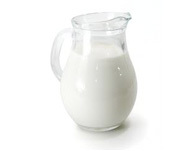 When derived from whole grass fed cows' milk, milk delivers healthy omega-3 and CLA fats along wiith important nutrients calcium, potassium, & protein to help promote lean body mass. 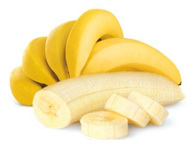 The most popular fruit in the US, Bananas are a natural energy booster & antacid, high in potassium, low in salt, and contain a wide variety of other vitamins and minerals. 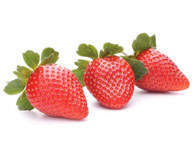 Packed with vitamins, fiber, and high levels of antioxidants known as polyphenols, strawberries are a sodium-free, fat-free, cholesterol-free, low-calorie fruit. 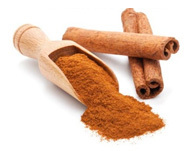 A spice with unique abilities, cinnamon has essential oils that make it an excellent anti-inflammatory, anti-microbial, and brain-booster. 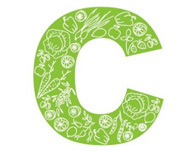 Vitamin C (as Ascorbic Acid) is an essential building block and contributes to the structure of bones, skin, blood vessels and a strong immune system. 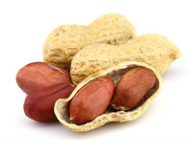 Peanuts deliver a lot of nutrition in a small package, including healthy monounsaturated fats, antioxidant polyphenols, and protein for muscle growth. 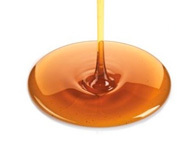 Naturally sweet and stacked with energy-boosting manganese and zinc, maple sugar contains minerals and antioxidants not found in refined sugar.